wie immer neigt sich das Jahr schneller dem Ende zu, als man denkt und wir möchten die Gelegenheit nutzen, um uns bei Ihnen für die gute Zusammenarbeit in diesem Jahr zu bedanken und Ihnen besinnliche Weihnachten und einen guten Rutsch ins neue Jahr zu wünschen. Auch dieses Jahr verzichten wir wieder auf postalische Weihnachtsgrüße. Vielmehr lassen wir einen größeren Betrag der Stiftung justiceF zukommen. Mit der Spende werden landwirtschaftliche Programme für Kleinbauern in Vietnam und den Philippinen unterstützt. Mehr darüber können sie demnächst auf unserer Webseite und in den sozialen Medien erfahren. Falls die Einträge auf Interesse stoßen, freuen wir uns über Rückmeldung und das eine oder andere Like. Damit möchten wir uns für dieses Jahr verabschieden und sind 2017 in alter Frische wieder zurück auf dem Parkett. as every year the festive season is approaching faster than planned and we want to use the opportunity to thank you all for the good cooperation and to wish you merry Christmas as well as all the best for the new year. As in previous years we have decided to donate to charity rather than sending greeting cards and will transfer a substantial amount to the German non-government organisation justiceF (http://www.justicef.org). The funding will support agricultural programs for small holders in Vietnam and the Philippines. You will be able to read more about it on our website and via social media soon. We will take leave from you for this year and will be back with fresh energy in 2017.
comme tous les ans, la fin arrive plus vite que prévu et nous souhaitons profiter de l'occasion pour vous remercier de la bonne coopération lors de cette année et bien sûr aussi pour vous souhaiter de bonnes fêtes de Noël et de fin d'année. Cette année encore nous avons opté au lieu de cartes de Noël de plutôt supporter une organisation caritative. Ainsi nous ferons parvenir une somme correspondante à l'organisation non-gouvernementale justiceF (http://www.justicef.org). Avec ce don seront supportés des programmes concernant les petits exploitants au Vietnam et aux Philippines. Plus d'informations à venir sur notre site web et dans les médias sociaux très bientôt. Au cas où ces informations rencontreraient votre intérêt, nous serions heureux de recevoir vos commentaires et l'un ou l'autre « j'aime » de facebook. Nous prenons donc congé de vous pour l'année en cours et seront de retour frais et reposés en 2017. 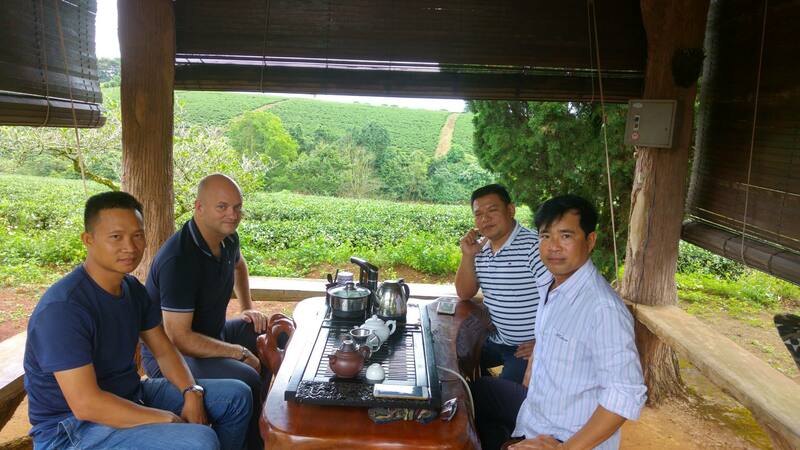 During the previous field visit of KIAG in Vietnam the company introduced the KIPUS software towards the tea industry in Lam Dong. The province is one of the main tea planting areas. As the tea producers are forced to diversify their export market, traceability gains more importance and is considered as a key entrance for the new markets. For instance, the Cauthee Ltd. company is integrating a new system for pest management as the climate change challenges the organic process. Several kinds of pests attack the tealeaves. KIPUS with its functionalities fits in this process of quality production to monitor properly the production of the 140 ha, starting from the seedlings up to the ready-made products for the new export markets. 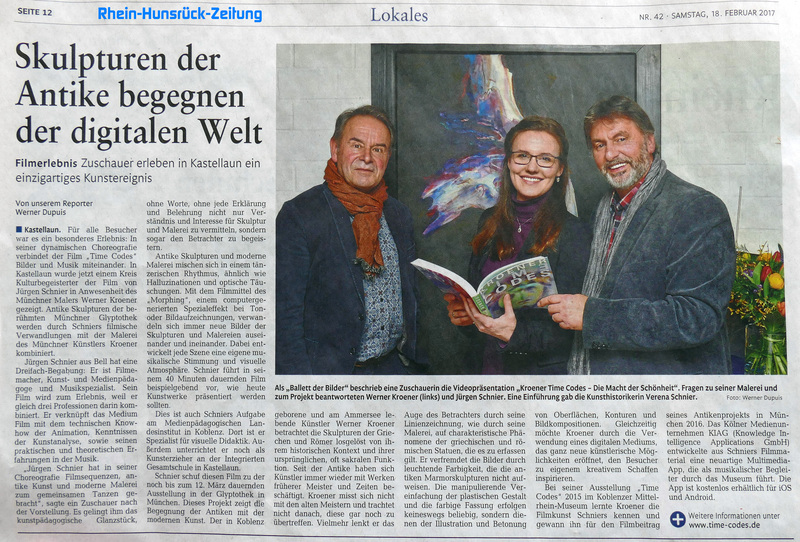 Last Wednesday, more than 400 visitors made the opening in Munich a great success. KI supports here with an app solution for tablets and smartphones, offering great videos and lyrics for each exhibit. Based on the powerful KI app framework, mediaguides for Android and iOS have been developed within six weeks only! More to come in January with the new interactive app solution for kids including games and animations! As we have reported about our social project of mobilizing the children on the Philippine island of Bantayan, we can luckily announce that the kids are now mobile. The 128 bikes arrived safely and were checked and maintained by our local partners. 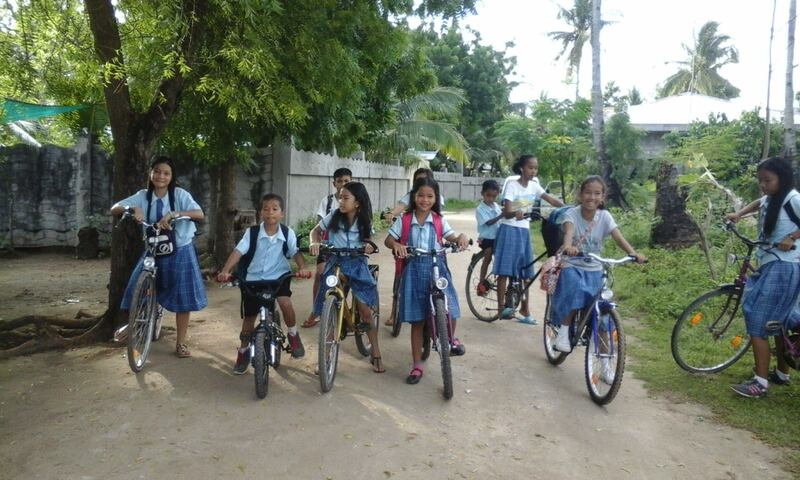 The children of the small island village called Basawon are now so happy to be independent and own a bicycle. "The children had already Christmas", so Maia Becker who has coordinated that activity on site. A new commercial cooperation has started with the dragon fruit industry in the Vietnamese province of Phan Thiet. Mr Lam, a well-known exporter and fruit producer, signed in the presence of the local dragon fruit producers’ association a memorandum of understanding (MoU) to promote and implement the KIPUS traceability tool. The area is famous for its dragon fruit production. Local farmers’ associations are supposed to adopt systematically the KIAG software. KIAG Vietnam and the new partners are now on process to configure the dragon fruit version to start for the coming crop cycle in 2017. KIAG joined the second phase of GIZ’s lab-of-tomorrow to create an innovative business idea in order to support the situation of labour inspection for the garment sector in Cambodia. A consortium consisting of buyers, local producers, textile consultants, and IT developed a strategy based on a digital tool by KIAG to match the challenge for the Cambodian garment sector. 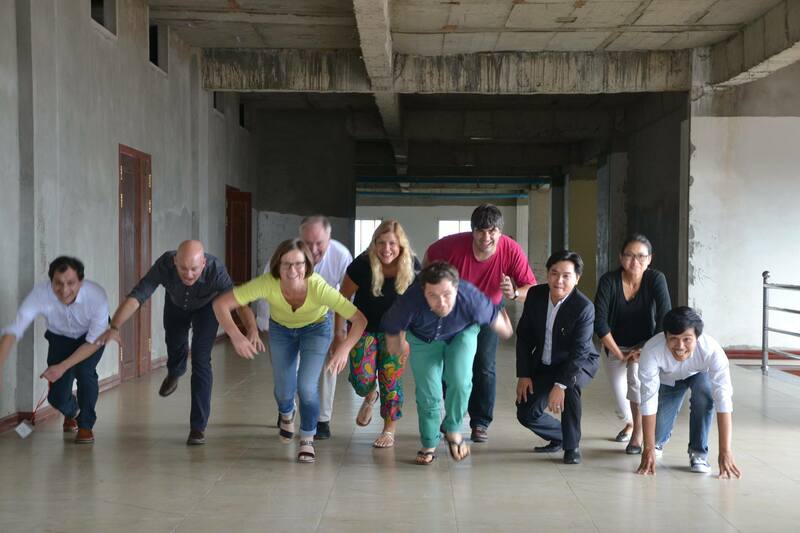 The workshop that followed the design-thinking method was conducted by GIZ in Phnom Penh from 30.11. – 01.12.16. The working results of the consortium are now being assessed and will be announced in the first quarter of 2017. 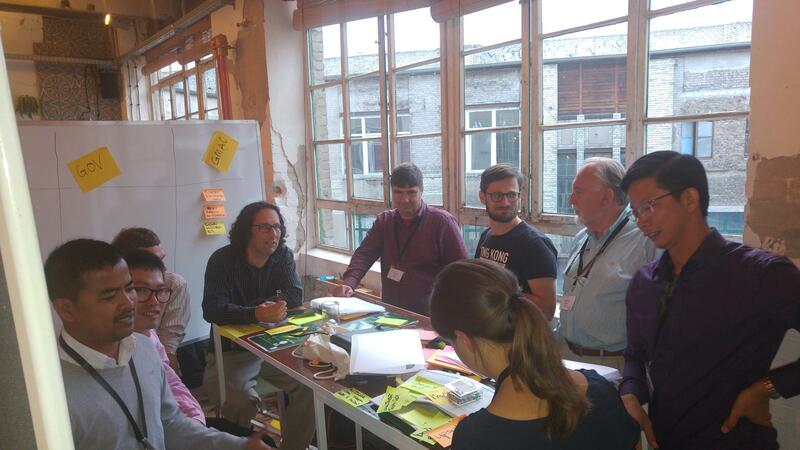 In the context of the new professorship of the technical University of Dortmund /Germany KIAG was invited to contribute during a three-days’ workshop. Prof Thomas Schroeder and his team shared their perspective with experts of technical and vocational training and education (TVET) such as Prof. Spöttl and Prof. Dehnbostel. KIAG provided its expertise mainly on sustainable production and digitization that will influence both vocational training as well vocational education in the near future. Industry 4.0 and education 4.0 are the challenges for the new professorship, which will look into various fields of TVET research, teaching and implementation. 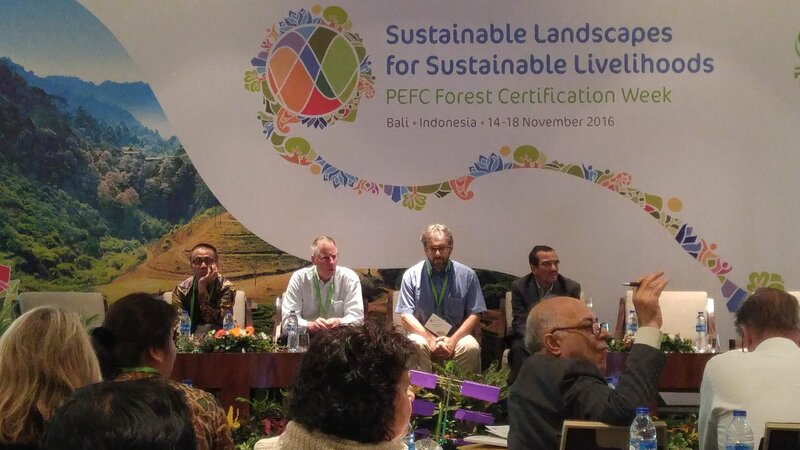 This dialogue on 17th and 18th of November is part of the PEFC Forest Certification Week which is currently held in Bali, Indonesia and brings together over 200 professionals of the forest and wood industry in Asia. In memoriam to our friend Thorsten Specht we launch Woodpecker, a Chain of Custody system for the supply chain allowing to trace wood from the forest to the sawmill and at the same time to help smallholders as well as big plantations alike to learn and use proper practices in the PEFC framework. In the framework of the developpp project in Vietnam funded by KfW/DEG, KIAG Vietnam has conducted a one-week training in the Mekong area. 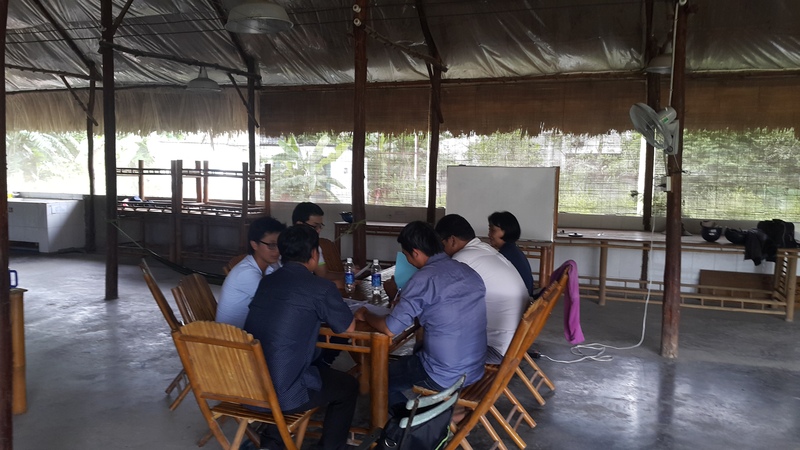 Green Rabbit, one of the biggest farmer's cooperatives in the area, has gathered its main technicians and production managers to introduce the traceability software of KIAG. Traceability, the ability to trace every step in production of agricultural products, is an emerging trend in Vietnam. Super and hypermarkets will promote this requirement towards consumers by bar codes, made and produced by Green Rabbit. Since October 2016 KIAG has started its collaboration with the ecosign academy in Cologne/Germany that is focused on sustainable design. The academic institute, which offers Bachelor and Master courses on design, develops now an interface for consumers. The core questions have been defined by lecturer and team leader Uwe Boden: “What does a consumer really want to know about food, textile or hardware? How can we structure an app that informs properly and satisfies the needs of different target groups?” 18 students are involved in the research & development work assisted by KIAG staff. The presentation of prototypes is scheduled for February 2017. In the meantime, creativity meets technical expertise to master that challenge. KIAG will inform regularly about the progress. 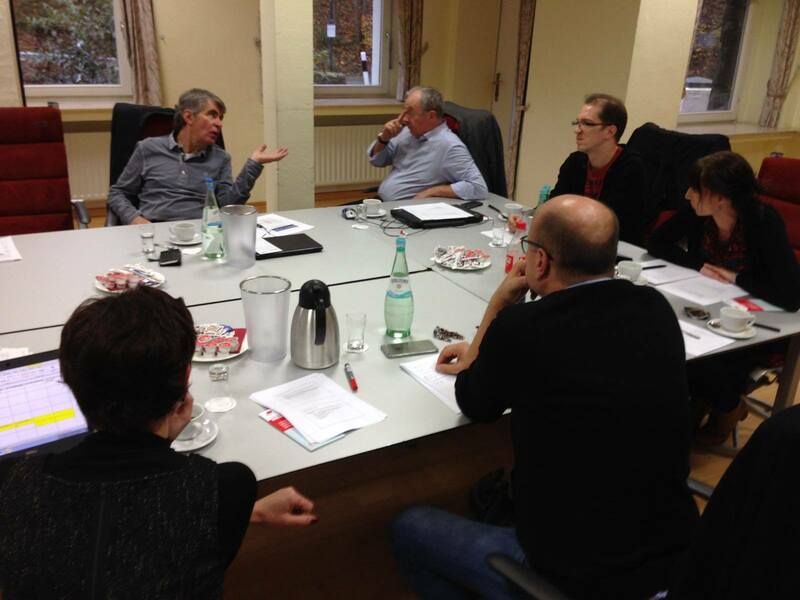 In the first week of October Harald Puhl and Stephan Kunz from KIAG were invited by GIZ to join the “lab-of-tomorrow” workshop. Companies got the opportunity to engage in new business operations overseas. They developed ideas in lab character to create a business solution. Guided by the design-thinking method a team of multi-stakeholders designed prototypes to improve the situation of compliance for the Cambodian textile industry. 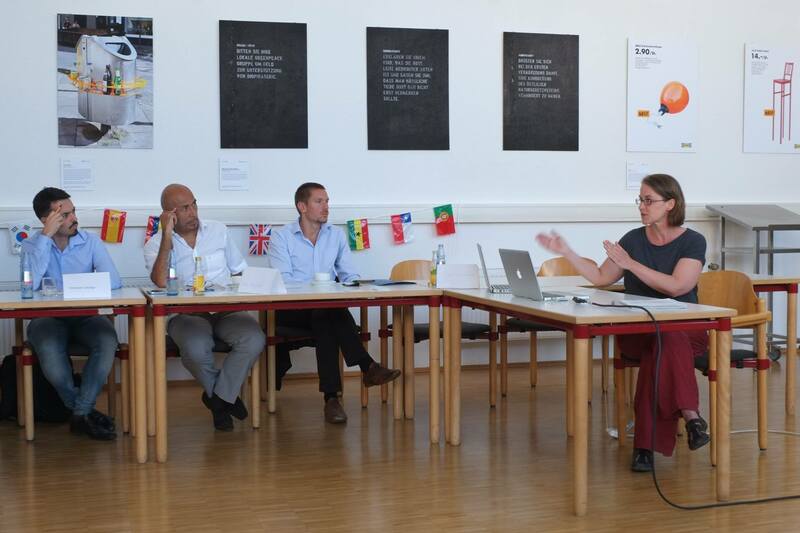 The 3-day workshop was conducted in Berlin and will be followed up in Phnom Penh in Cambodia by the end of November. KIAG is actively involved in traceability solutions. The ready prototype will be tested on site under real conditions. Vietnam is one of the main exporters for black pepper and other spices on the world market. Several organic producers have send their technicians to get the first introduction of KIPUS in Ho Chi Minh City on 01.10. – 02.10.16. The local experts shared their needs towards KIAG staff to come up with a tailored-made version. 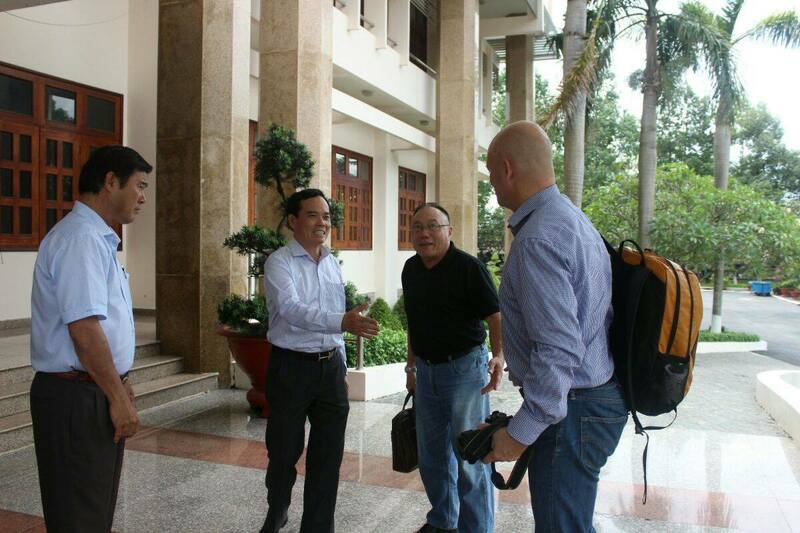 Nhan Thien Lu the KIAG manager in Vietnam has invited the participants after he has explored the different areas. On 29.09. – 30.09.16 KIAG has been invited by the local government of Tay Ninh province located in te South of Vietnam next to the Cambodian border. The area is popular for its enormous food production. Currently the government plans a transition from conventional to more sustainable, even organic agriculture. KIAG and its technical consultant Dr. Ba Hung have presented various options of cooperation to assist in improving the conditions for a modern agriculture. In cooperation with the “Vietnam Organic Agricultural Economic Institute” KIAG is now requested to develop a project design. Traceability is not only in demand for fresh food, but also required for many other products within the primary sector. The sourcing of wood is a major topic on the agenda. 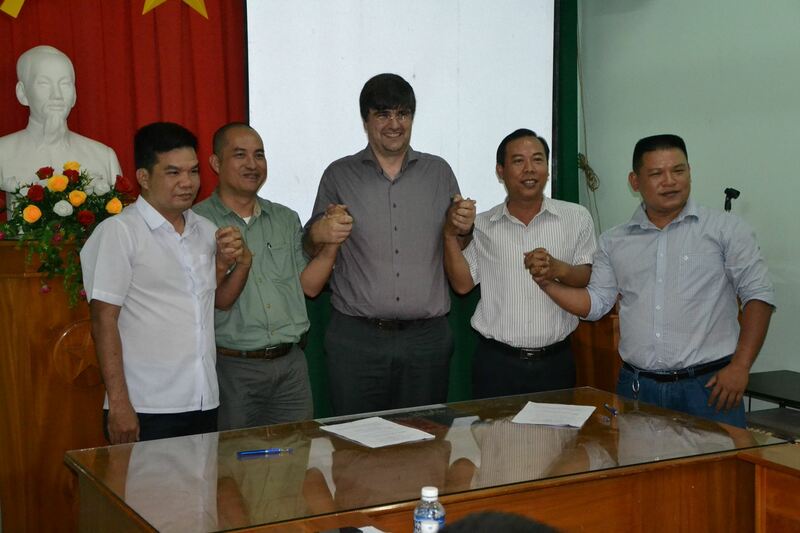 In that context several partner organisation in Vietnam have approached KIAG to develop a software that can help to trace the log from the woodland up to the sawmill gate. On 25. September, KIAG Vietnam has shared the first dummy to Richard Laity, who is a PEFC consultant based in the Mekong area. The software, called Woodpecker, refers in its system architecture to KIPUS, the main software product of KIAG distributed in Vietnam. Since August 2016 KIAG representative office is registered, operational and fully in function. 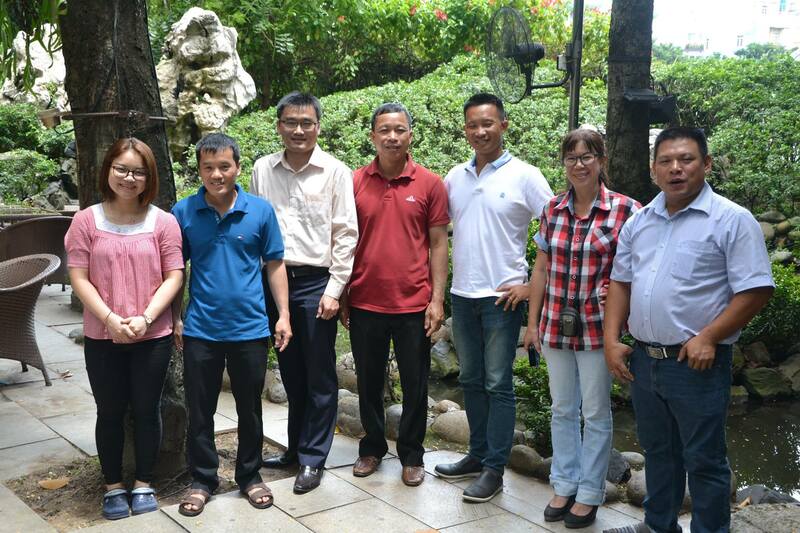 Our team, guided by the country representative Nhan Thien Lu, is providing technical services for the transformation process in agriculture. The introduction of KIAG’s web-based traceability system is essential to collect, correlate and analysis data before the team designs and implement corrective action. Main areas of intervention are actually the provinces of Lam Dong and Ho Chi Minh City. 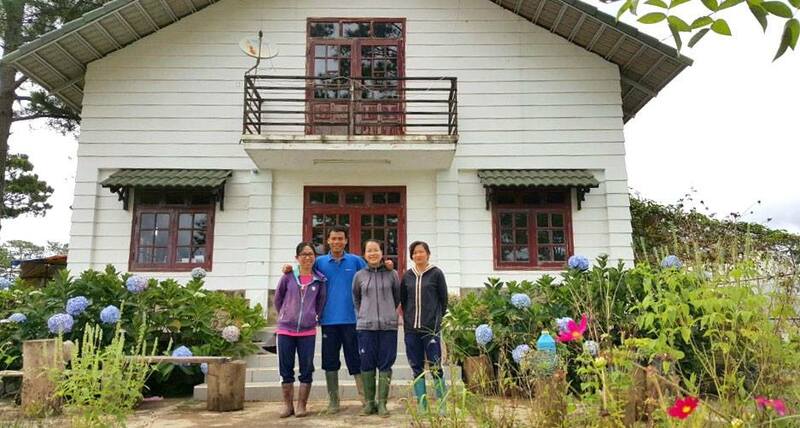 The team consisting of qualified agriculturists (from the left to the right: Le Lam Que, Nguyen Tanh Thao, Nguyen Mong Tuyen and Ha Thi My Hiep) assists mainly small-holders in their process of transition from conventional to sustainable agriculture. All activities are traced and documented by KIPUS. We wish you a lot of success for your important and responsible job on the ground - Chúc các bạn gặt hái nhiều thành công trong công việc. 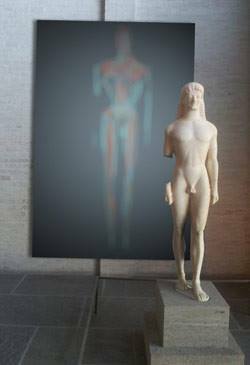 "Time codes 2" exhibition as the second part of the trilogy will open its doors in December in the Glyptothek. 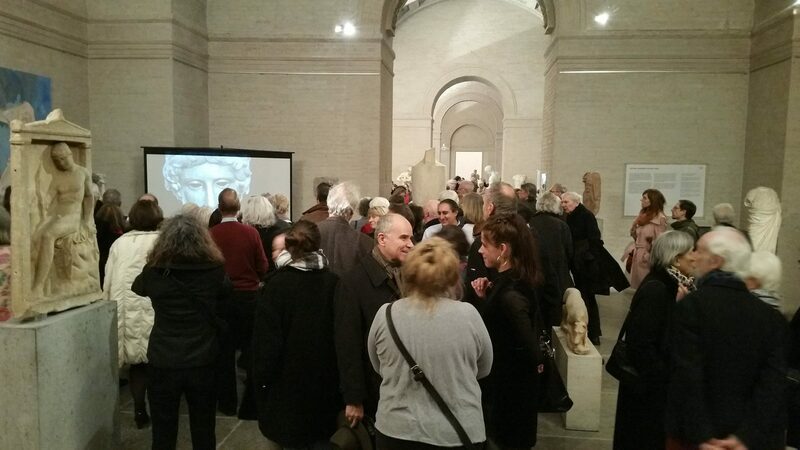 Fantastic to see world wide unique ancient objects face to face with their electronic reproduction on LED panels. Also see the artist´s website (donors welcome). Be quick - the exhibition only lasts for a few months. The Glyptothek is Munich's oldest public museum; the only museum in the world that is solely dedicated to ancient sculpture (with a nice café for recreation as well - see www.antike-am-koenigsplatz.mwn.de). As already in the last years, KIAG is in the lead for concept and development of a tablet-based media guide which will also be available in the app stores. 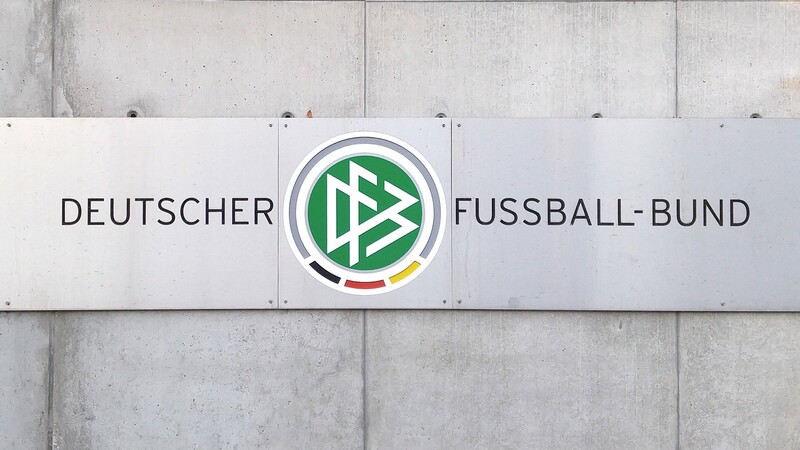 Digitization and digital solutions are at the forefront of activities at DFB, the German Football Association, to serve the emotions raised by this sport. KIAG helps analysing internal IT processes and infrastructure to ensure that DFB can grow as required and offer fans a broad selection of resources and services also in the future. 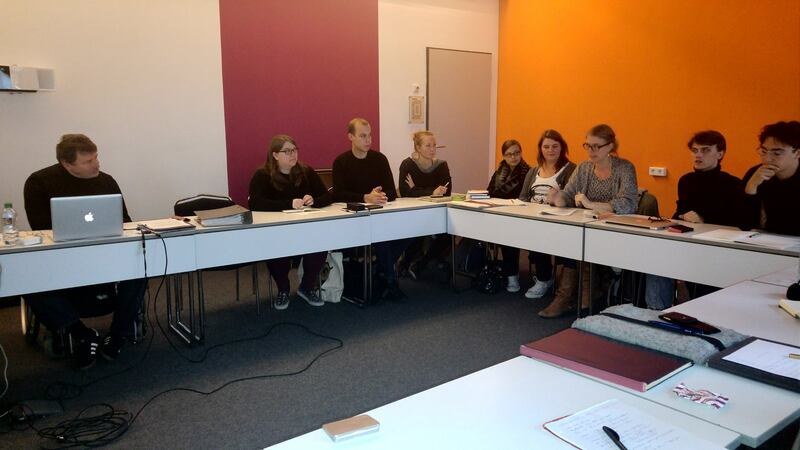 Another meeting was initiated by IVLA at GEPA – The Fair Trade Company also located in Wuppertal. 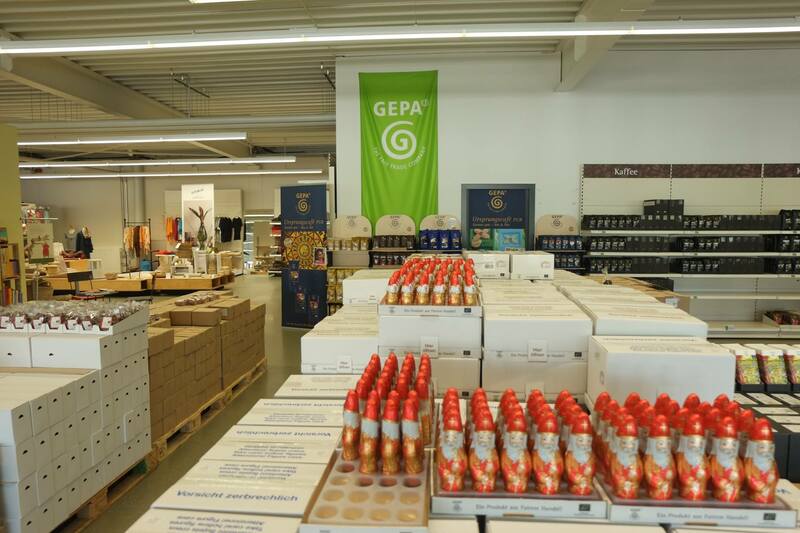 GEPA (www.gepa.de) is the biggest European importer of food and handicraft items from the South. The food department imports among other raw material cacao to produce chocolate and other tasteful commodities. Chocolate for instance complies with 100% fair traded cacao ingredients which are fulfil also biological standard as well. Hildegard Fuchs, product manager Profood, explained the supply chain from incoming raw material up to the product made in in Germany. Particularly the fair price system compared to the world market introduced the challenge also compared to the other competitors on the fair trade segment which increases, but remains still a market niche. The Wuppertal Institute undertakes research and develops models, strategies and instruments for transitions to a sustainable development (www.wupperinst.org). It is one of the leading research institutions on sustainability in Europe and has invited the International Value Links Association (IVLA) for an exchange of ideas and perspectives. KIAG is a member of IVLA as well and has attended the session to get some inside view into the Hot Spot Analyse, where all dimensions of sustainability are analysed and correlated. It is a conglomerate of various data and information refereeing to a complex assessment system of environmental and social parameters. Katrin Bienge, project Co-ordinator for sustainable production and consumption, introduced the audience to the topic. KIAG’s activity working in Asia have started with the Philippines. Apart from doing traceability with small holders on fresh food we are monitoring a project of erlebe Fernreisen GmbH in the country. One of the new travel products is the island Bantayan that has been heavily affected by the monster typhoon in November 2013. Another partner of KIAG, justiceF, a German foundation that is supporting a community on Banatyan requested us to help. KIAG networked with its business partner DHL to arrange a special project, the transport of 129 second hand bikes for the kids of Banatyan. 80% of aid projects fail due to custom problems. Not in our case. Last Friday the well maintained bikes started to its final destination. KIAG co-financed the container and helped in arranging the documents. People in Bantayan are more mobile, justiceF can now extend its livelihood activities, and erlebe-fernreisen might develop a new side product. The youth wants to show tourists the beauty of the island, by riding on a bicycle. Click here for press coverage of the bicycle shipment. In 2013 KIAG started its new department on sustainability. The development of KIPUS software shall support small farmers to systemize their production and comply with criteria on good agricultural practice (GAP). One of KIAG’s partners is the Association of Negros Producers (ANP) that looks in alternatives to support farming in a sustainable way. ANP provides technical assistance and market access. Due to the software solutions ANP can not only steer the quantity of incoming food products, but document the quality process towards buyers and consumers. ANP and KIAG start now to network the approach of WeTrace to achieve outreach and impact by developing modern agriculture with all stakeholders. Just look at the brand-new video of ANP & KIAG partnership.